The audio stream recorder recognizes and records any music service. Best Recording Methods selection for various sources for best functioning options. Music files are automatically recorded from audio streams and saved in the highest quality as individual files in, for example, MP3 or AAC formats with ID3 tags, album artwork and lyrics. 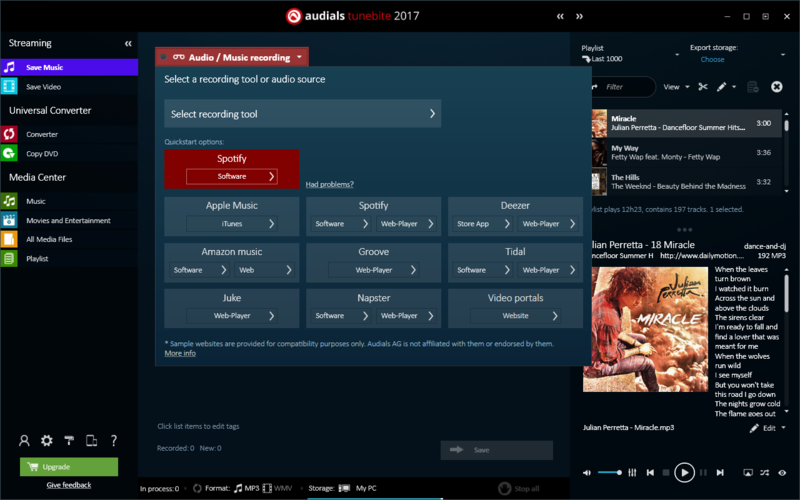 Automatically record all the music videos, even complete playlists and save with all ID3tags as MP3 or any other audio file.